In a class-action complaint brought to the Superior Court of California, Birmingham Iron punter Colton Schmidt and Orlando Apollos linebacker Reggie Northrup allege they were misled about the AAF’s financial viability and were deceived in regards to majority owner Tom Dundon’s plan to get rid of the league once he got his hands on the league’s gambling and technology intellectual property. The players’ lawyers argue Schmidt and Northrup would not have subjected themselves to “serious risk of physical or damage to [their] health” or “foregone other financial opportunities” had they been aware of these things. According to the complaint, the two players—acting individually and on behalf of “all players who contracted with” the AAF—are seeking damages for: breach of contract, breach of implied covenant of good faith and fair dealing, promissory estoppel, violating labor codes, violating business and professions codes, fraud, false promise and inducing breach of contract. The players’ lawyers are essentially arguing a few major things. First, that players who signed with the AAF had more than enough reason to believe the league would last much longer than it did. The suit cites examples of CEO Charlie Ebersol talking about the Alliance’s long term goals. Examples of Dundon’s claims that there was enough money on his end to keep the league going long enough for it to reach the successes that Ebersol hints at were also brought up. 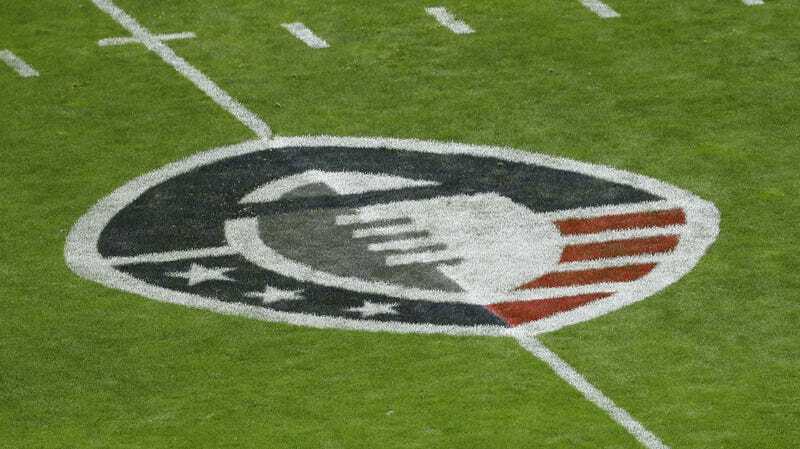 The plaintiffs also argue that the league choosing not to pay its players is an indication that the AAF entered the contracts in bad faith. Even though AAF contracts were not guaranteed, there was an implication that if a player chose to sign a three-year deal, they would at least have the opportunity to get to year three without fear of the league up and dying—a side of the bargain that the AAF did not hold up. The final main argument is that all of the shittiness that AAF players had to deal with after it had dissolved (i.e. having to pay for their own flights back home from suddenly-cancelled road games) were a result of the AAF, Dundon and Ebersol intentionally defrauding players about the league’s long-term viability, and hiding the fact that the AAF was insolvent, by not breaking the news to players until it was too late.